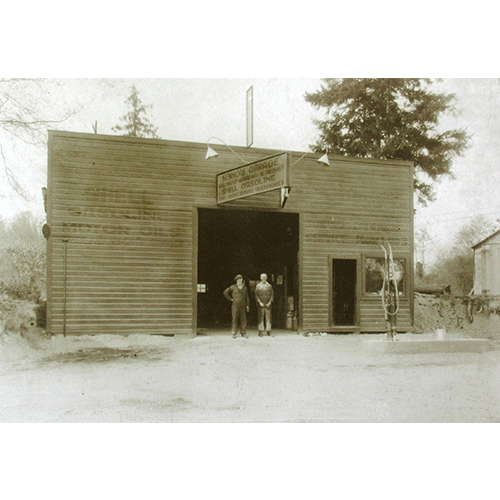 Al Telquist (right) operated Kenmore's first auto-repair garage, at 65th Avenue NE and Bothell Way, beginning in 1922 with his father-in-law Dan Dygert. The large sign above the door reads "Kenmore Garage, Shell Gasoline, Day and Night Service." (Man at left is unidentified). Photo courtesy of the Telquist family.